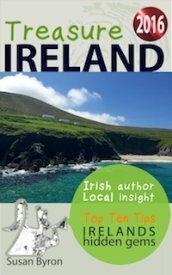 Irish holidays - things to do? Irish holidays are typically filled with plenty of great Things To See and Do! From wide open natural places to civic spaces, its true the best things in life are FREE Like the incredible views you will encounter at every turn of the road, so feel free to linger in these places over a lazy picnic lunch and watch the world go by. We also have some world class beaches if we only had the sun to go with them? backed by rugged coastlines perfect for fresh salty cliff top walks. Or leafy rambles through the greenest of countrysides. There really are forty shades of green in the patchwork of fields, double that after a good shower of rain! You can even visit Father Teds house where the infamous comedy series about 3 Irish priests and their housekeeper Mrs Doyle was filmed. Children are well catered for in Ireland with plenty of fantastic safe playgrounds, not just in city centre parks, but quite a view country houses have designated playground areas like the one at Ardgillan . While on rainy days most of the large museums and art galleries have activity packs for children, just ask at the desk. And children of all ages will love the new Tayto Park in Ashbourne or the Zoo in Dublin or one of the small pet farms like Glendeer just outside Athlone which has seasonal events at Halloween and Christmas. There are also horse riding centres and acquariums scattered throughout the country. Not to mention indoor swimming pools in hotels (with spas attached for the Mummies) and kids clubs so everyone will be happy ! 7 Best quirky stuff - unusual things to see and do. 8 Best craft shops to browse around. 10 Visit Father Teds house Killnaboy, County Clare. 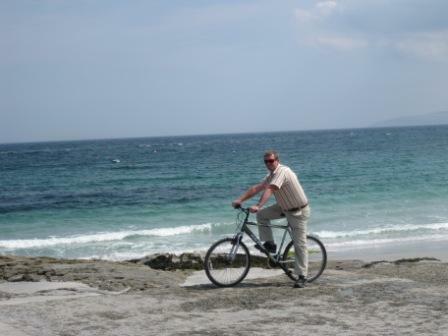 For where to stay on your Irish holidays click here.